Location, location, location! Immaculate vineyards, erupting volcanoes, pounding ocean waves and mighty mountain ranges – just some of the spectacular views Headwater customers will enjoy this summer when staying at our finest-ever collection of hand-picked hotels. 1. The Amalfi Coast is renowned for its sensational scenery: mountains dropping into crystal blue seas, towns clinging vertiginously to limestone cliffs, stunning walking trails through lemons, olives and vines. 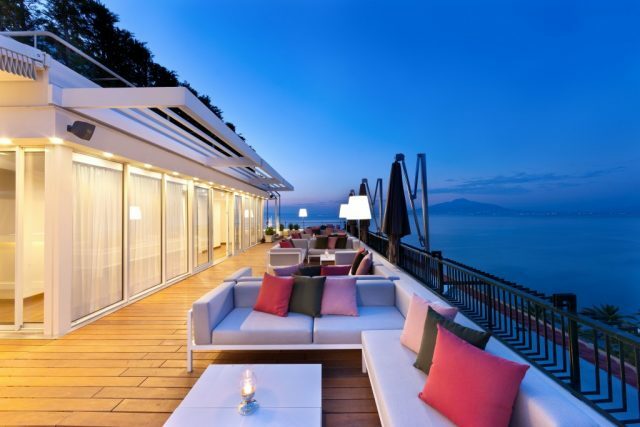 Customers joining our 7-night self-guided Amalfi to Sorrento Walk trip spend their final two nights in bustling Sorrento at the Hotel Continental, which panoramically overlooks Mount Vesuvius. 2. The stunningly unspoilt island of Bermuda boasts some of the most beautiful beaches in the world: deserted sugar-pink sands, secret turquoise bays, stunning sea grottoes and amazing coral reefs full of strikingly colourful fish. Our walking base here, the luxurious Coco Reef Hotel, lies on the edge of the best private beach on the island with all rooms offering panoramic ocean views – even the beds have been strategically positioned so that you wake up, not just to the sound of the ocean, but also to the most stunning of views! 3. 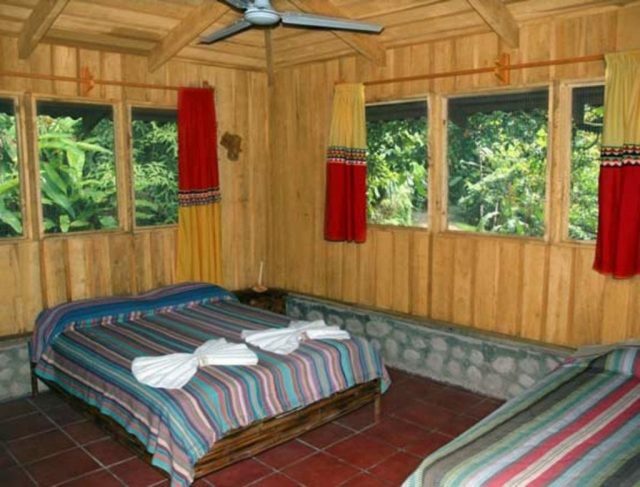 The Esquinas Rainforest Lodge is surrounded by untouched jungle wilderness in the remote Piedras Blancas National Park. The covered porch in front of each room is the perfect place for bird and nature watching (bird species include hummingbirds, parrots, toucans and ciurassows, whilst it is also common to see coatis, raccoons, caimans, agoutis and monkeys). 4. Perched on a picturesque high plateau, in a beautiful sunny spot on the edge of the very pretty, historic village centre, you’ll enjoy unhampered, stunning views to the famous breathtaking panorama of the Blümlisalp and the neighbouring peaks of the alpine UNESCO World Heritage Site, when staying at the Hotel Alfa Soleil in Kandersteg. 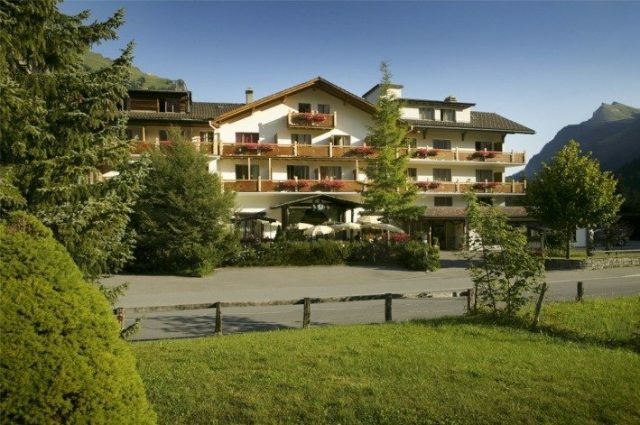 Walkers will spend seven nights here on the Classic Swiss Alps Walk holiday. 5. 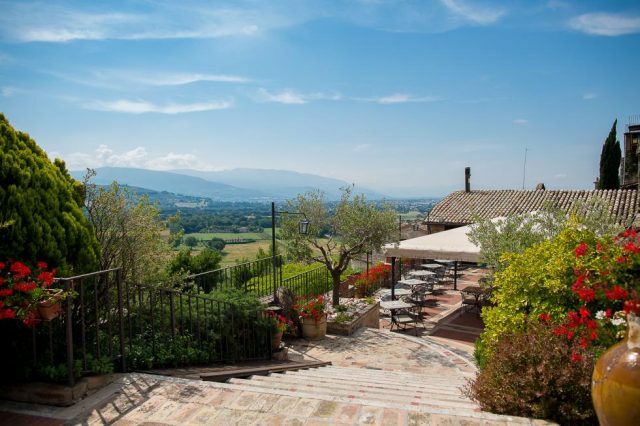 In Umbria, the Hotel La Bastiglia boasts a beautiful setting at the foot of Mount Subasio, the enchanted mountain of Saint Francis. Originally an ancient mill the hotel has been lovingly restored and transformed into an unforgettable place to stay. There are 33 rooms divided into three categories, many overlooking the typical Umbrian landscape of cypress trees and olive groves. Stay here on our Umbria walking or cycling holidays. 6. 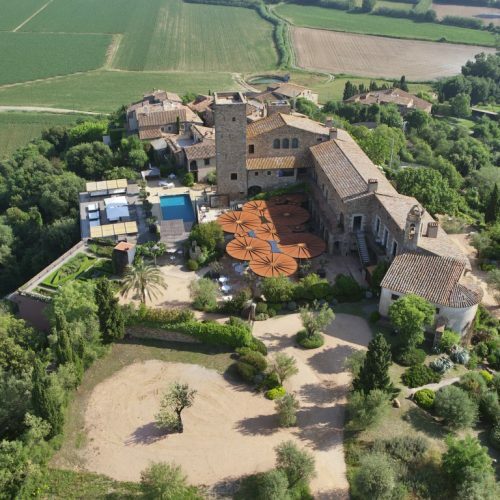 The quintessential views of the Tuscan countryside are simply breathtaking from Hotel Le Fonti, the start and end point for our Volterra to San Gimignano Walk holiday. 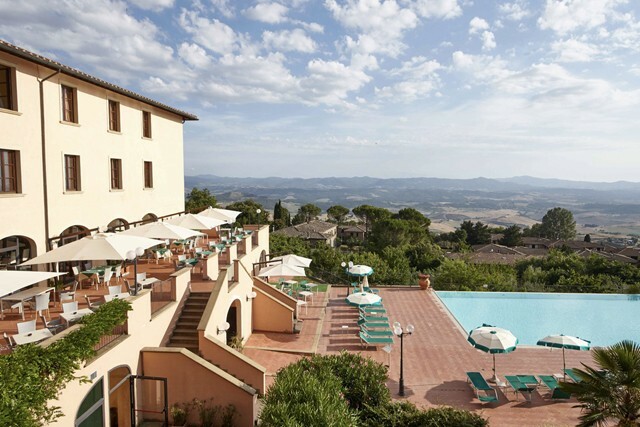 Located just below the Porta dell’Arco entrance to mediaeval Volterra, the hotel has a fabulous infinity pool with a sweeping panorama over the rolling Pisan hills. 7. On our Catalan Coastal Cycling holiday and Catalan Classic Walk you’ll follow a mix of glorious coastal paths and unspoilt inland routes. Two nights are spent in the Hotel Castell d’Empordà, a superbly restored 700-year-old castle perched on a rocky outcrop, boasting spectacular views over the idyllic Empordà plain. 8. 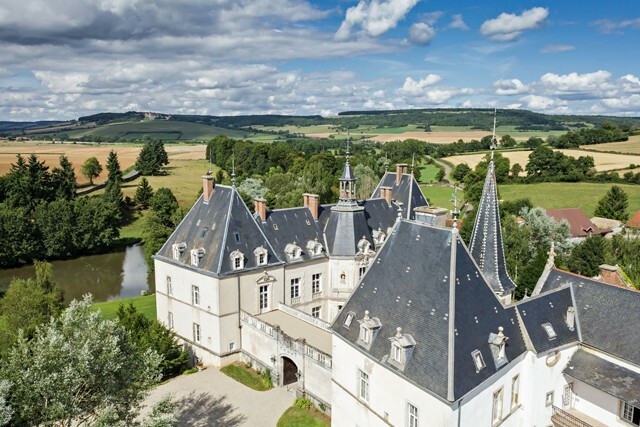 The simply stunning rooms of the C17 Château de Sainte Sabine in Burgundy, built on the site of an ancient monastery, offer a distinct blend of modern and period decor, with an unbroken view of the village of Chateauneuf-en-Auxois, one of the select group of “the most beautiful villages in France”, and the surrounding countryside. There is also a swimming pool for guests to enjoy amid a natural setting featuring a small lake and eight hectares of carefully tended grounds. 9. 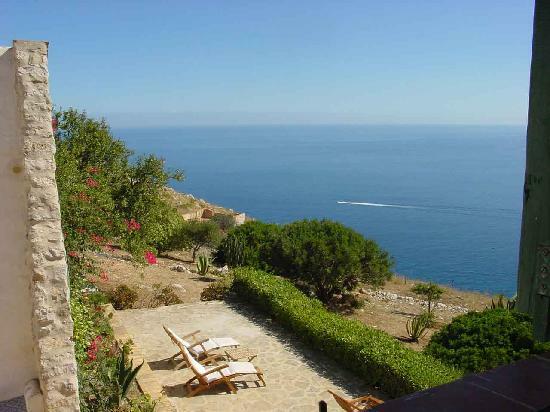 The Baglio La Luna in Sicily is a charming 5-bed house nestled at the top of the cliffs over San Vito Lo Capo. The views are spectacular – why not enjoy a bottle of wine under the stars in the evening to relax after a day’s walking on our Secrets of Sicily Walking holiday? 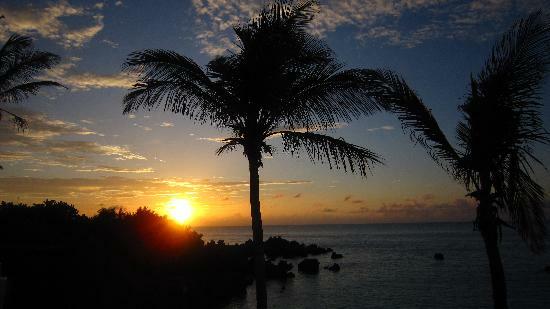 We hope this has got you thinking about the view you’d like from your hotel room this summer. Have you stayed anywhere special that we haven’t mentioned? We’d love to read your comments! Inspired to book a holiday? Call us on 01606 720099 or email us: sales@headwater.com to discuss your holiday plans. Hi Jane, Thanks for your comment :) we're glad you enjoyed your room with a view on our Provence cycling tour! We don't stay at this hotel anymore, but hopefully the above has inspired you for future holidays. We did the Secret Provence Cycle a couple of years ago in May. I thought that our room overlooking the lake at Bauduen was lovely. The views changed by the hour - from sunrise to sunset and all the variations between. One morning we had a thick fog & even that was beautiful, especially as it lifted and the sun shone through. Eating dinner on the terrace and watching the sun set was also pretty special.